As the trend of working with virtual, Linux-based containers to build applications continues to grow, “Docker Swarm Vs. Kubernetes” are the phrases that we all have started hearing increasingly often. While both of these technologies deal with containers, at a closer look, they are not actually competitors. Kubernetes and Docker operate at different levels of the stack – and you can actually use them together to make your applications better. Let us walk you through when and why you should go with Docker and/or Kubernetes. Docker, as a platform, revolutionized the way software was packaged. Offering a sandbox view of the an operating system, it has added many advantages in building and running applications. With Docker, an application can be built quickly, deployed quickly, scaled rapidly, and run anytime, anywhere with minimal system resources. Being open source, Docker quickly exploded as a standard for packaging and distributing containerized applications. However, as it developed, new problems arose. These highly specialised packages or popularly known as “containers” had to be coordinated, communicate, sequenced, handled for storage considerations, etc. This is where Kubernetes came along. At the very core, Kubernetes is a container orchestration platform. It helps in running different containers across different machines, scaling up/down and adding/removing new containers as required. It also distributes load amongst containers. As the new wave of application development of building microservices have emerged, container orchestration and management have become an essential part of them. Docker realized this soon, and released their own container management service, Docker Swarm. Docker and Kubernetes can actually work together. As far as management platforms go, you can use either Kubernetes or Docker Swarm for your Docker engines. Kubernetes currently holds the largest market share and is pretty much the standard platform. It works around the concept of pods, which are scheduling units (and can contain one or more containers) in the Kubernetes ecosystem and they are distributed among nodes to provide high availability. It has the advantage of using years of research done by Google, hence leveraging the expertise. Being open source, it has a vibrant, growing community with plenty of helpful resources, and guidance available for anyone looking. It can run on either a public cloud service or on premises, and is easy to learn and implement. Docker Swarm has the advantage of tightly integrated into the Docker ecosystem, and uses its own API. Its filtering and scheduling system enables the selection of optimal nodes in a cluster to deploy containers. As it is developed by Docker itself, Docker Swarm removes many compatibility and other differences and integrates smoothly. Kubernetes usually is not a complete solution and requires custom plug-ins to set up. If you use Docker swarm, all these dependencies are handled well within the ecosystem, making installation and setup really smooth. However, Docker Swarm is not extensively used as Kubernetes. Hence, the community and support around it are not as expansive and convenient to reach out to. Most cloud providers today offer Kubernetes as a service. 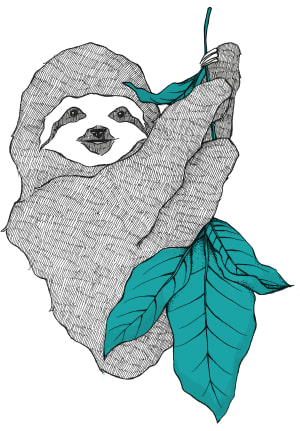 Bugsnag, an error reporting service, wanted to containerize their event processing pipeline. Their event pipeline has been processing 220 million application errors per day, approximately 150k per minute. They chose Docker Swarm over Kubernetes as the latter was “overly complex to run a polling Node.js app on a fleet of nodes and would have been an overkill to deploy and operate”. Kubernetes offers more customization options and extensive use, and is suitable for people looking to set up parameters completely on their own, whereas Docker Swarm is best for people looking to quickly set up a containerized application and get it running. Which platform do you think suits the best for your needs -- Docker or Kubernetes? Tweet your thoughts at @totalcloudio. Do follow us on Twitter and Medium. 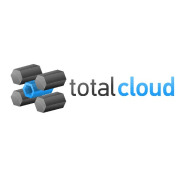 If you want to view all your Amazon Elastic Container Service (Amazon ECS) connected to your AWS inventory, try TotaCloud.io, a gamified AWS cloud management platform offering complete cloud visibility to today’s DevOps engineers & managers. On a single-pane of glass, users can get cost visibility, monitor & secure resources, and perform operations — all in real-time.Get started here. 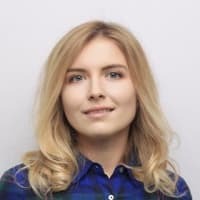 Note: Originally published at blog.totalcloud.io on April 9, 2018. TotalCloud is an interactive and immersive visual platform for real-time cloud management and monitoring. The platform shows live AWS architecture superimposed with contextual data.